« Innere Mariahilferstraße » (towards city centre). On the „Christian Broda Platz“ take the first right onto « Millergasse », then the first left onto « Fügergasse ». 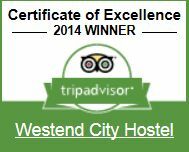 How do I get from Trainstation „Wien Meidling » to Westend City Hostel? The « Hauptbahnhof » or main railway station is still under construction. Currently only regional trains from the eastern railway stop there. 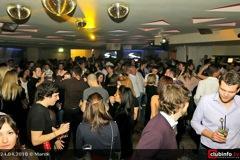 or get off at Trainstation « Wien Meidling » and take metro Nr. U6 to Westbahnhof (about 5 min). 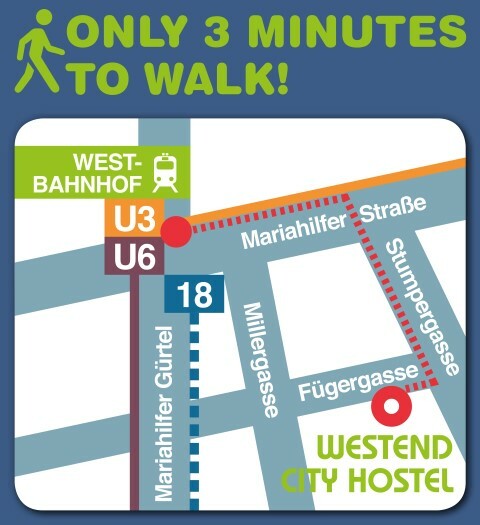 How do I get from Vienna International Bus terminal « Erdberg » to Westend City Hostel? This will take you about 20 minutes. The underground line U3 takes you directly to Westbahnhof. Use the exit « Innere Mariahilferstraße. Take the first right onto Millergasse, then the first left -Fügergasse. This will take you about 15 minutes. The underground line U3 takes you directly to Westbahnhof. Use the exit « Innere Mariahilferstraße. Take the first right onto Millergasse, then the first left -Fügergasse.